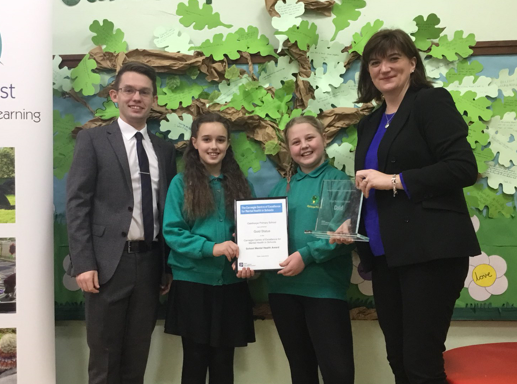 In February, we welcomed Nicky Morgan MP to the school to discuss the work that we do around mental health and wellbeing. This is her first visit to the school despite awarding us with two awards – one for Character Education in March 2015 and a Gold award for Mental Health and Wellbeing in June 2018. The year 6 children took the opportunity to ask her about how to present a balanced argument and she gave some great advice. They are currently working on a balanced argument around HS2 being built around Oakthorpe.